According to the United Nations Conference on Sustainable Development in Rio de Janeiro in 2012, half of humanity lives in cities. The urban population has increased from 750 million people in 1950 to 3,600 million in 2011. It is estimated that by 2030 almost 60% of the population world will reside in urban areas. In Spain already does more than 80%. This will lead to significant growth in the coming years, and cities must be prepared to serve new services on a sustainable way: from meeting the needs of potable water or clean air transport will be a challenge of extraordinary magnitude and an opportunity for the industry. The Spanish National Plan for Smart Cities is a continuation of different initiatives proposing to do a set of new political measures that involve the mobilization of resources that will put special emphasis on sustainability. Cities are engines of human and economic development. At the same time, most greenhouse gas emissions are produced in cities. Building solutions with the evolving needs and nature of citizens will create an adaptable foundation on which to shape the future of cities. Smart cities acting as catalysers of the foreseen energy, environmental and social revolution are expected to play a key role in order to achieve the new European objectives by 2020. – European Innovation Partnership on Smart Cities and Communities. Inclusive Growth: That is achieved when the economy reaches high employment levels while delivering social and territorial cohesion. The risk of poverty should threaten no more than 20 million fewer people. To achieve these objectives seven flagship initiatives are proposed: innovation, youth employment, access to internet, efficient use of resources, business competitiveness, qualification of labor and social, and territorial cohesion. To address the main challenges in implementing the Europe 2020 Strategy, member countries have a vital instrument: the Structural Funds and the European Investment (FEIE) for period 2014-2020. Both Structural Funds and the Cohesion Fund are the financial instruments of European Union (EU) regional policy, which is intended to narrow the development disparities among regions and Member States. The Funds participate fully, therefore, in pursuing the goal of economic, social and territorial cohesion. In Spain, the Partnership Agreement to join the Europe 2020 strategy to be applied to the Foreign Earned Income Exclusion (hereinafter, FEIE), recognizes the central role that cities play as the engine of the economy, as they are places of connectivity, creativity and innovation, as well as service centers. Therefore, urban development becomes a priority area within the cohesion policy of the EU. Given the importance of Smart Cities, it is mandatory to define and standarize indicators to measure the evolution of our cities to the challenge of achieving higher competitive rates while being sustainable cities. 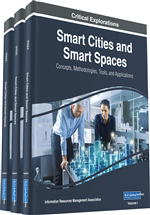 The objective of this chapter is to define which are going to be the characteristics and municipal policies the Spanish cities must fulfiled in order to be transformed into Smart Cities. At this respect, ICTs play a key role to accelerate this urban change making possible a larger amount of data sharing that is necessary to transform the city. In this chapter the Spanish case will be analyzed, given its connections with Latin American and the Caribbean countries where a radical urban transformation into Smart Cities is necessary and desirable, as it is expected that 82.8% of Latin American population will be urban by the year 2025 (CEPAL, 2005, p. 29).